In a new study, the feasibility of hydrogen production by waste incineration plants will be investigated. The study, part of VoltaChem's Power-2-Hydrogen program line, focuses on the 'ReEnergy' waste incineration plant in Roosendaal. By using about a third of its 20 MW electrical power generation for the production of hydrogen, the plant could substantially contribute to facilitating the energy transition, particularly in the Roosendaal region. On February 21, the Twence waste incineration company officially launched the development of a pilot plant for converting CO2 into formic acid. This pilot builds on the VoltaChem Power-2-FormicAcid project where a reactor was developed and tested in cooperation between Coval Energy, VoltaChem/TNO, and TU Delft. Now the technology will be scaled up towards the pilot plant at the Twence site in Hengelo. As the platform for open innovation in the electrification of chemical process technology, VoltaChem brings together stakeholders from the energy, chemical & equipment sector in an exclusive forum. With ever increasing pressure on CO2 reduction, VoltaChem makes it easy to stay on top of developments. As a member of the VoltaChem Business Community, you are first to receive the latest insights into technological developments and market opportunities. You have access to relevant events and reports and can benefit from bilateral consulting. A new initiative in 2019 is the establishment of Communities of Practice: business groups with a shared interest in specific technologies. In cooperation with industry associations Deltalinqs and FME, VoltaChem has recently conducted a market scan amongst approximately 50 public and private organizations in the Rotterdam-Moerdijk region, aiming to identify the most important barriers and drivers for industrial electrification. Interviewees indicate that they often develop process improvements individually, while barriers can be overcome by cooperation, learning from past experiences and value chain thinking. National and international experience show that a field lab can be an important innovation instrument accelerating adoption of technologies and transforming individual approaches to a cooperative approach that benefits all public and private partners. This is why the set-up of a potential field lab industrial electrification in this area will be further investigated. On January 24-25, the 9 M€ EU funded innovation project PERFORM was successfully kicked-off in Delft. Short for PowER platform, PERFORM aims at developing highly efficient and integrated electrochemical systems that can substantially improve sustainable production of valuable building blocks from bio-based feedstocks. VoltaChem contributes to PERFORM through the Power-2-Chemicals program line. Coordinated by VoltaChem/TNO, the PERFORM consortium has started the development of an open-access piloting platform for demonstration of paired electro-synthesis and integrated product recovery, which will result in energy savings and emission reductions in biochemical processes. ‘When electrons power molecules’ congress; shows readiness for the next level in electrification! On December 13th, 2018 an interesting international blend of participants of the chemical industry, energy sector and technology suppliers like researchers, business & site managers, R&D managers, business developers, technical suppliers and policymakers joined the Voltachem Annual Event at the Industry & Energy Congress: ‘When Electrons Power Molecules'. This event - in cooperation with Industrielinqs and FME - offered a program built around next-generation industrial electrification, needed to reduce the carbon footprint of the chemical industry. It showed, the industry is ready for the next step. The Dutch Ministry of Economic Affairs and Climate (EZK) has recently granted 5 M€ to VoltaChem initiator TNO to invest in state-of-the-art research facilities in the field of electrochemistry and green hydrogen production technology. This new “Faraday Lab”, named after the 19th-century inventor renowned for his contributions to the electrochemistry, will be realized in Petten (The Netherlands). It will serve as one of the key infrastructural cornerstones of VoltaChem’s program line Power-2-Hydrogen. An additional €2 million will be invested by TNO in its industrial electrification activities within VoltaChem on top of the existing yearly contribution. This increase is the result of additional government investments in applied research by the Dutch Ministry of Economic Affairs and a recognition of the importance of the subject and the results attained so far. The funds will be invested in accelerating collaborative R&D in the VoltaChem program lines and in facilitating technology uptake by industry. First results of the additional investments will be expected at the end of 2018. To better suit the needs of the market and accelerate innovation, VoltaChem has decided to complement its technologically oriented activities with a focus on the three most impactful chemical value chains: Fuels, Fertilizers and Plastics. To engage these value chains, our business development focus will be on addressing the most crucial questions and drivers in each of these application areas. For this, multiple workshops will be organized in 2018 providing valuable input for our annual event in December. VoltaChem and partners from the 2 Seas region will join forces from 1 July in the new interregional project "Electrons to high-value chemical products (E2C project)". The cross-border project recently awarded by Interreg 2 Seas focuses on the conversion of CO2 into chemicals and fuels, using renewable electricity. 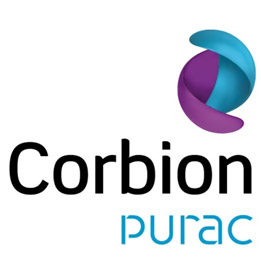 The aim of this new consortium - consisting of 8 research partners and 29 industrial observers from the Netherlands, Belgium, France and England - is to accelerate the development and implementation of this Power-2-X and CO2 conversion technology. The project will run for 3.5 years and result in two pilot installations demonstrating the possibilities of Power-2-X technologies. In order to drive innovations within the PEM electrolytic technology, the organizations Hydron Energy, Fujifilm, PTG / e and ECN (part of TNO) will soon start the innovation project 'AMPERE' as part of the shared innovation program VoltaChem. The reason: PEM electrolyzers will play an essential role in hydrogen production, provided that the costs of the components decrease. To achieve results faster, one of the project goals is to set-up a PEM-Electrolyzer knowledge transfer platform from SME and industry pioneers as part of the VoltaChem community. On 17th May at an inspiring location in the Rotterdam Zoo, VoltaChem organized a back-casting session at the 2nd European Power to Ammonia Conference; the NH3 event. During this session, the nearly 75 participants worked together in small groups on one of the two extreme scenarios of a future ammonia plant in the year 2050. 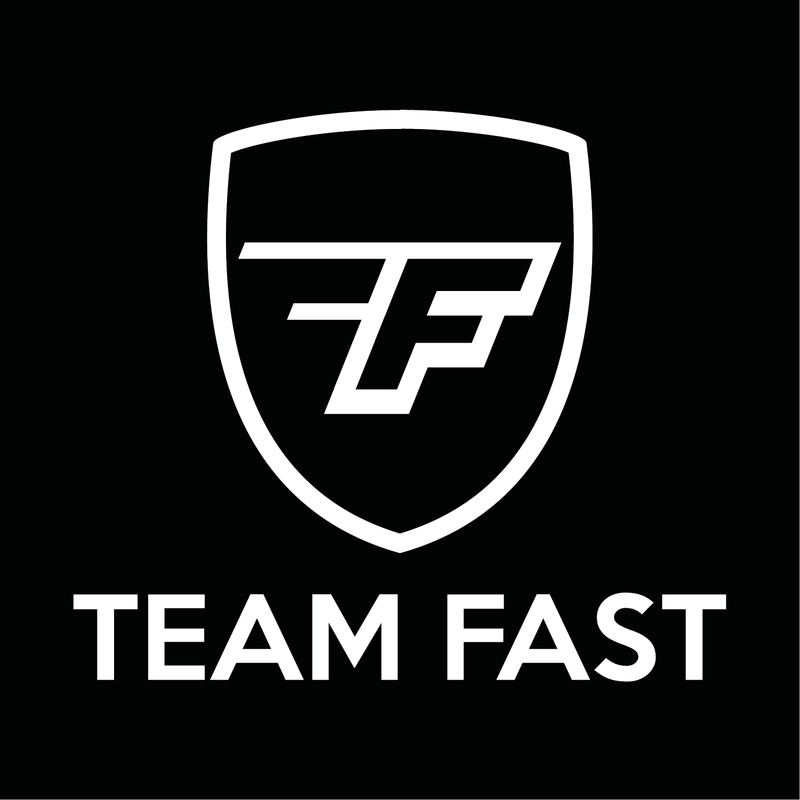 Each team, delivered in only a short time an interesting timeline with many impressive results and actionable ideas. Industrial electrification is an important route for decarbonising the Dutch industry. Until now, it has been unclear what the potential of implementing innovative electrification options is regarding CO2 emissions and energy use in 2050. For that reason, VoltaChem, together with researchers from the renowned Wuppertal Institute in Germany, has developed three independent electrification scenarios for the Dutch industry towards 2050 and assessed its impact on decarbonisation. Electrochemical oxidation towards high-value chemical products is one of the most interesting and promising applications of electrosynthesis on short term. Researchers from Shared Innovation Program VoltaChem have recently demonstrated very high yields for the oxidation of propylene glycol (PDO) to lactic acid (LA) using cheap electrodes and chemicals. With the results in hand, the next step can be made towards optimization for better business cases. In 2018 the VoltaChem Community will further focus on understanding the business and strategic relevance of industrial electrification on short- and long-term to help members and stakeholders make the right decisions. Multiple events will be organized for our members, some together with other initiatives, and dedicated bilateral advice will be given based on the latest international insights in technology and policy. Interested in joining? Please let us know! The efficient conversion of the greenhouse gas CO2 towards useful products using renewable energy is one of the key topics in the Power-2-Chemicals program line. If chemical products, like plastics and fuels, could be produced directly from CO2 using electrochemistry, this would greatly contribute to industrial decarbonization. However, scientific challenges still exist to reach a viable business case. This is one of the main reasons that VoltaChem recently started the project EleReCEt together with three top Dutch universities and industry, focusing on solving fundamental research questions in the direct electrochemical conversion of CO2 to ethylene, an important precursor for plastics. New stress testing protocol accelerates PEM electrolyzer lifetime assessment. PEM electrolysis is a key technology to make efficient use of the fluctuating supply of renewable electricity in the future. Therefore it should be able to handle fluctuating loads. However, it is not well known what the impact of dynamics on electrolyzer degradation is. ln the ELECTRE project ECN and Hydron Energy have started investigating degradation phenomena. A key result of the project, which has just been finalized, is the development of an accelerated stress testing (AST) protocol that will help companies to quickly assess component durability. The year 2017 was a very exciting and successful year for VoltaChem, with many new ideas, results and partnerships developed. We increased our understanding of the opportunities and timelines for industrial electrification, brought multiple Power-2-Heat, Power-2-Hydrogen and Power-2-Chemicals technologies to the next phase and developed unique know-how and infrastructure related to Power-2-X. Now, VoltaChem is up for the next phase: the development of regional piloting and demonstration activities focused on accelerating implementation. One of the most promising short-term industrial electrification technologies is power-to-heat, the switch from gas- to electricity-based heat. As many industrial processes are driven by medium and high-temperature heat, changing its energy source to renewable power will immediately impact the industrial carbon footprint. In the VoltaChem program a group of companies, together with TNO and ECN, has recently started a project that will drastically improve the business case of power-to-heat using a hybrid energy system. At times when a lot of renewable electricity is available from the sun and wind, gas fired heat generation switches off and process heat is generated from sustainably generated electricity. On 18 December, the first symposium on e-Refinery in which sustainable electricity forms the basis for a decarbonized economy, was held at TU Delft, organized in collaboration with VoltaChem. Approximately 170 researchers, representatives of companies, and other interested parties were present in Delft to discuss the challenges and ideas about accelerating technical breakthroughs in e-refinery, the electrocatalytic production of base chemicals and fuels. In the laboratory, the individual steps of the e-Refinery are already possible. You can convert water into hydrogen on an industrial scale, with the help of electric current: oxygen is produced on one electrode, on the other hydrogen, used as fuel and raw material. But further steps are needed, such as the conversion of carbon dioxide into fuels and other organic chemical feedstock. Or, for example, coupling hydrogen with nitrogen to form ammonia. However, the Technology Readiness Levels for industrial applications of these processes are still far too low. With 2050 in mind, the key question is how do we bring these processes - as quickly as possible - to practice? From the opening speech until the drinks and informal discussions, the VoltaChem Annual Event 2017 was buzzing with energy. The prospect of massive amounts of offshore wind power enabling electrification and decarbonization of the chemical industry had brought an unanticipated large audience to the event. Main conclusion of the event was that we have to accelerate towards implementation through the development of an industrial electrification field lab and pilot location. VoltaChem will take up this challenge in 2018. VoltaChem participant in Covenant Green Hydrogen Economy South Holland. On Friday december 8th, VoltaChem’s co-founders TNO and ECN have signed a covenant on green hydrogen economy in South Holland as program participant. The regional program ‘Green Hydrogen Economy’ aims to further shape the green hydrogen economy in the province of South-Holland in general and on the island of Goeree-Overflakkee specifically. The covenant focuses on supporting collaboration in projects leading to synergies in quality, scale and cost-effectiveness. The world’s first hydrogen producing wind turbine is to become a reality in the Wieringermeer area at the start of 2019. 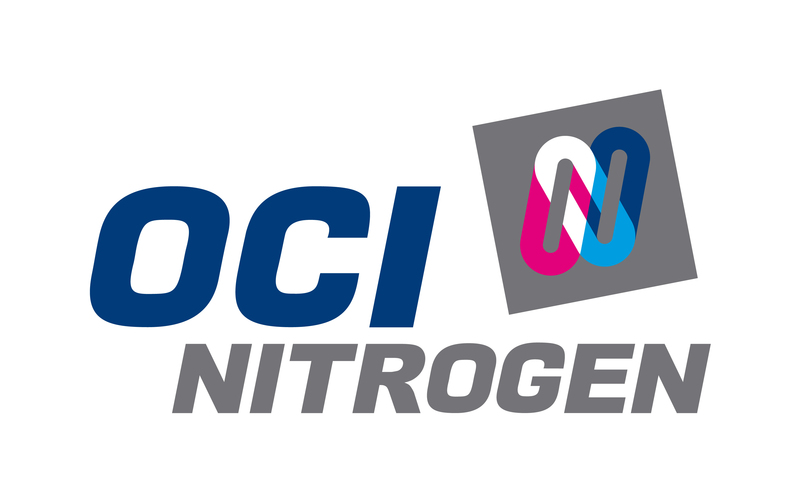 This is the objective of a partnership formed between initiator and sustainable hydrogen supplier HYGRO, wind turbine manufacturer Lagerwey and research institute and VoltaChem co-initiator ECN. The wind turbine will be producing hydrogen for the Duwaal project, the initiative of a wind-ranging consortium in the North Holland region led by HYGRO. The consortium’s aim is to implement the chain of sustainable hydrogen production, distribution to at least 5 hydrogen fuel stations and 100 hydrogen trucks simultaneously. In 2030 additional wind turbines on the North Sea will result in some 70 gigawatt of installed generation capacity, some 12 gigawatt of which will be available to the Netherlands. This is such a significant proportion of total Dutch consumption that it offers opportunities for reducing CO2. At the same time, ever more applications for electricity, such as conversion into hydrogen, are emerging. The Port of Rotterdam is enthusiastic. In September 2017, 75 Dutch, German and Flemish experts from the chemical and energy sector convened in Neuss in Germany to discuss the integration of renewable electricity in the chemical sector. Shared Innovation Program VoltaChem co-organised this innovation mission, that led to a lot of enthousiasm for international collaboration. One of the first outcomes of VoltaChem's Power to Formic Acid project is a study by CE Delft. In order to assess the sustainability merits of the application of formic acid in transport, this brief report describes an indicative greenhouse gas (GHG) footprint analysis, focussing on the GHG-emissions of the production and application life cycles. VoltaChem co-initiator ECN is partner in the H2FUTURE project. This project will provide valuable insights in the field of using renewable energy resources to produce hydrogen. At the steel factory of Voestalpine in the Austrian city of Linz, one of the world’s largest and most cutting-edge electrolysis installation will arise. Siemens' Proton Exchange Membrane (PEM) electrolysis device, with a power consumption of 6 MW, will use renewable energy sources to produce hydrogen. Carbon dioxide (CO2) is best known for its contribution to global warming. Less known is that it can also function as a resource for the production of renewable fuels and chemicals. For the next two years six partners in a consortium of Shared Innovation Program VoltaChem will collaborate in a project that aims to convert CO2 with the aid of sustainably produced electricity into large amounts of formic acid. This can be used as a fuel, as conserving agent in animal feed, to store energy and as a chemical building block. The result: lower production costs, lower CO2 emissions and a contribution to the sustainable energy system of the future. Please watch our animation video! Electrochemical oxidation towards high-value chemical products is one of the most interesting and promising applications of electrosynthesis on short term. Researchers from Shared Innovation Program VoltaChem have recently demonstrated a full continuous process for the conversion of biobased Hydroxymethylfurfural (HMF) to FDCA, a key intermediate for bioplastics. With the results in hand, the next step can be made towards optimization and pilot scale production. 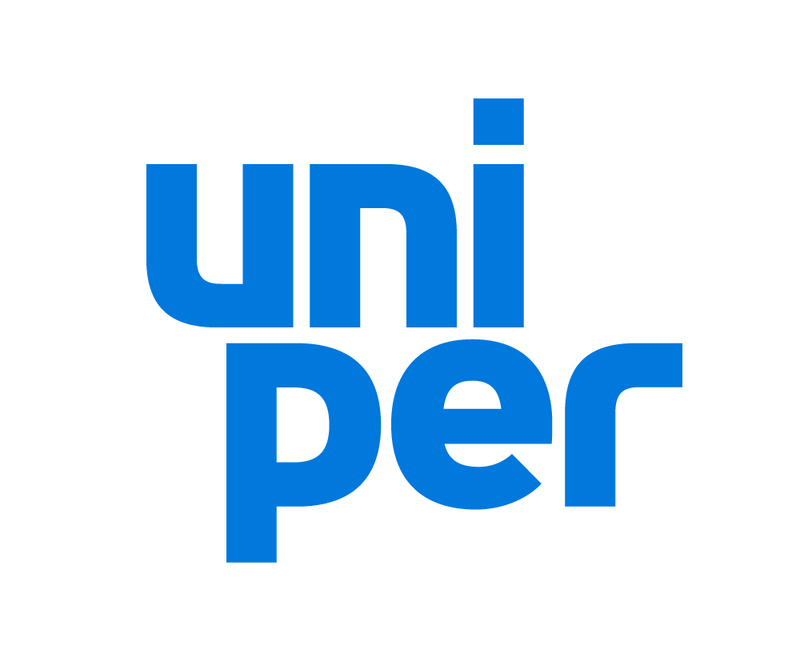 Shared Innovation Program VoltaChem is pleased to welcome Uniper as a member to its community in the field of industrial electrification. ‎Muhammad Zubair, Project Manager Business Development at Uniper explains why the company decided to join. To give you an impression of what VoltaChem is currently working and what activities can be expected, we made an overview of our current calls for participation, running projects and a selection of our lab facilities. The Power to Ammonia (P2A) project has recently successfully concluded a feasibility study into the storage of renewable energy in ammonia (NH3) for three business cases. ECN, on behalf of Shared Innovation Program VoltaChem is one of the participants of this ISPT initiative with ten parties of the energy and chemistry sector. With its additional community members and public and private funding, VoltaChem’s Community will intensify its activities in the field of market and technology assessments. For 2017 multiple projects will be initiated focusing on the context of industrial electrification on a regional, national and international level. To accelerate implementation of industrial electrification technologies Shared Innovation Program VoltaChem calls for participation in three projects in the Power-2-Chemicals program-line: power to fuels and platform chemicals from CO2, electro-organic synthesis scouting projects and paired electro-organic synthesis of high-value (bio)chemicals. Shared Innovation Program VoltaChem is looking for companies that have technologies in house which can improve the lifetime of electrolyser components. With an electrolyser, it is possible to make hydrogen out of water through the use of electricity. The demand for hydrogen is expected to increase strongly in the coming years, not only from the transportation sector, but also from the chemical industry. Thus, there is a need to work together on developing an electrolyser which is competitive in the market. VoltaChem’s Power-2-Hydrogen experts, Arend de Groot explains which concrete opportunities exist for the Dutch high-tech manufacturing industry. Recently, Shared Innovation Program VoltaChem has welcomed two new members to its community: Solvay and Port of Rotterdam. 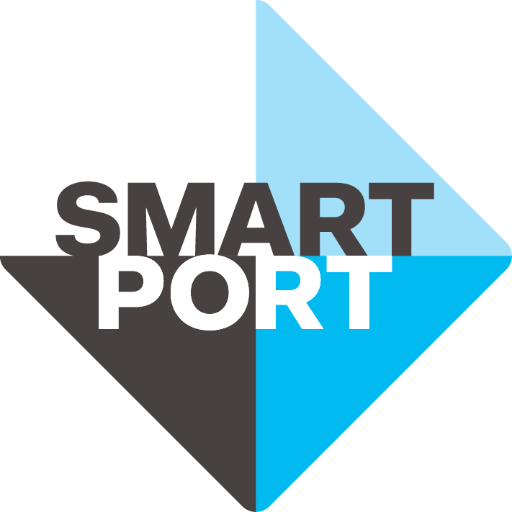 Furthermore SmartPort, TU Delft, Mestverwerking Friesland, CE Delft and Team Fast joined VoltaChem as associate members with their involvement in the Power to Formic Acid project. With this entry of new community members, VoltaChem feels a growing support for its objective to accelerate the energy transition towards a competitive and sustainable chemical industry. Since 2015 VoltaChem has grown into a Shared Innovation Program consisting of more than 15 running projects, having a total size of around 4 million euro per year, and involving a large industrial and academic partner network. With this, a good start has been made to implement the industrial electrification roadmap that has been defined together with stakeholders from chemical, electricity and equipment sectors. Energized by this success, VoltaChem will further grow and enhance its impact in 2017 by developing regional activities in the large industrial clusters and by initiating international collaborations in North Western Europe focusing on conversion of power to fuels, plastics and fertilizers. Our aim: accelerating implementation of industrial electrification technologies to further support the industry to contribute to the energy transition and international climate goals. Shared Innovation Program VoltaChem has put together a comprehensive list with all currently available heat pumps and their characteristics. "This list provides our community members that have an interest in VoltaChem's Power-2-Heat program line with a starting point to decide which heat pump suits their needs best", Power-2-Heat expert Simon Spoelstra explains. Call for participation: Power to fuels and platform chemicals from CO2. Shared Research Program VoltaChem is currently setting up an interregional project that focuses on the electrochemical conversion of CO2 to fuels and platform chemicals. For this project Voltachem is looking for first tier participants and industrial observers from chemical, equipment, material and energy sectors. Based on earlier results, Shared Research Program VoltaChem is looking for new cases in the field of electro organic synthesis, preferably for the conversion of waste streams of biobased feedstock to valuable chemical intermediates. To facilitate identification of new valuable routes, VoltaChem is performing scouting projects in the Power-2-Specialties program-line together with chemical companies or other interested partners. Shared Research Program VoltaChem has started work on paired electro-organic synthesis of high-value (bio)chemicals to create new potentially viable business cases. We are currently looking for chemical companies and equipment suppliers that are interested to participate as partner or supplier in the research. Currently VoltaChem offers several opportunities for global leaders in the fields of electricity, conversion, equipment and end products to participate in its program line Power-2-Heat. Specifically: industrial end-users (owning a CHP) and technology providers to decouple heat and power production + chemical companies to host a high-temperature (120°C) compression heat pump for field test application. Currently VoltaChem offers several opportunities for global leaders in the fields of electricity, conversion, equipment and end products to participate in research concerning 'electrochemical production of chemicals via hydrogen'. Six Rotterdam-based parties will investigate how sustainably generated electricity, converted into hydrogen, can be used in the production of fuels. 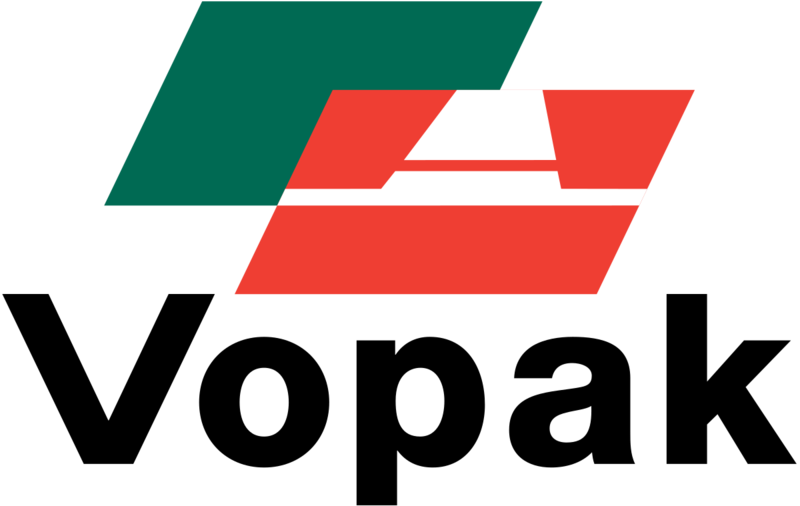 VoltaChem co-initiator TNO, Stedin, Smartport, Uniper, BP Refinery Rotterdam and Port of Rotterdam Authority will investigate the technical and economic feasibility of a power-to-gas plant in the Rotterdam port area, as well as the necessary amendments to regulations. The parties above signed a cooperation agreement to this end on 18 January 2017. Shared Innovation Program VoltaChem welcomes Sasol as a community member. 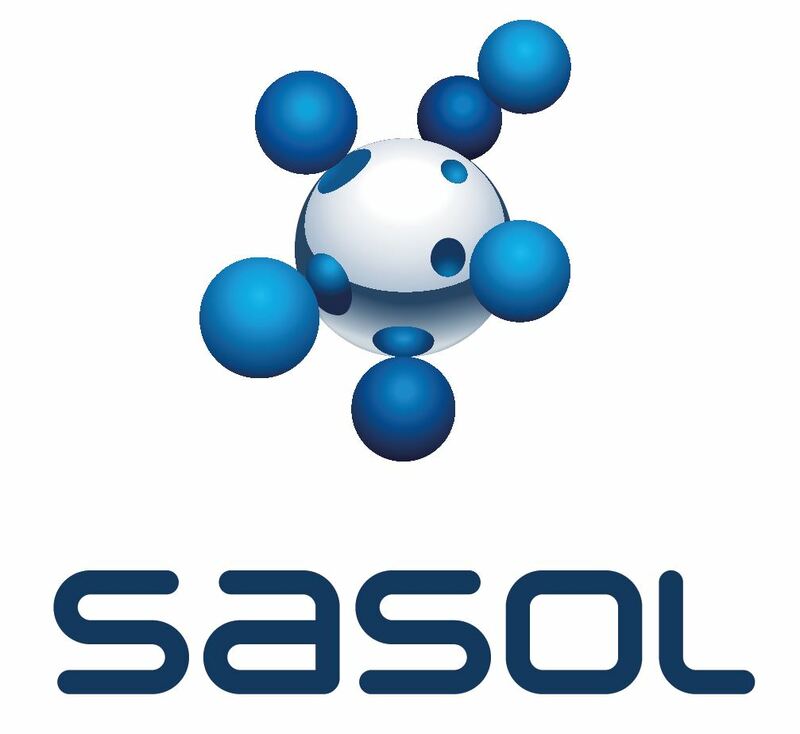 Sasol is an international integrated chemicals and energy company that leverages the expertise of its 30100 people working in 33 countries. 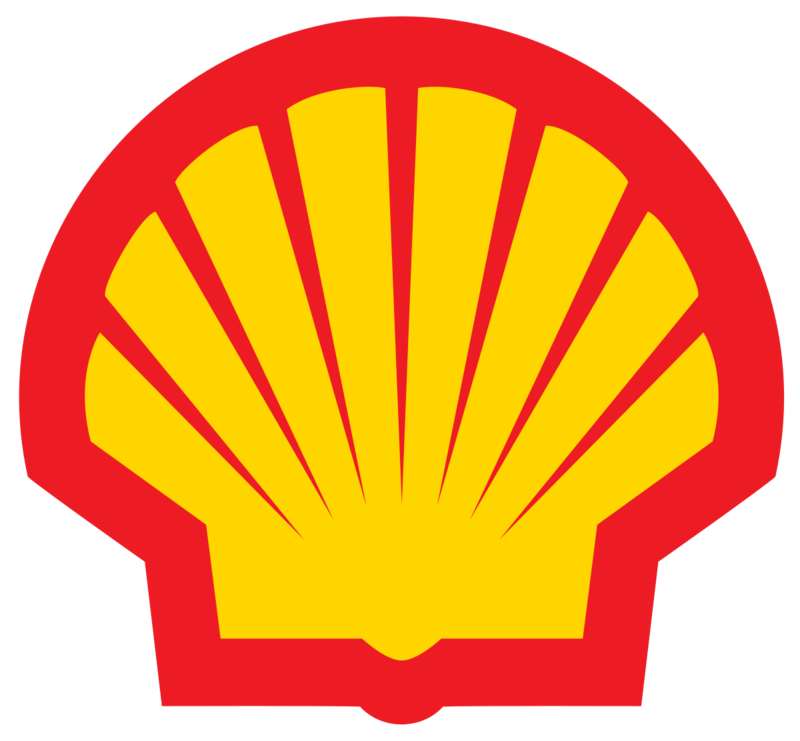 It develops and commercializes technologies, and builds and operates world-scale facilities to produce a range of high-value product streams, including liquid fuels, chemicals and low-carbon electricity. In the coming years, the supply of electricity from solar cells and wind turbines will increase significantly. In the summer, once in a while there will be a large supply of solar and wind energy and in the winter at times a much smaller supply. Therefore large-scale storage of renewable electricity is needed. At the beginning of 2016 a Dutch consortium of companies, universities and research organisations started to look into the potential of renewable energy storage in the form of liquid ammonia. What options are available? The Power-2-Ammonia project, in which VoltaChem partner ECN participates was recently covered by the Dutch NPT Procestechnologie magazine. Decentralised production of hydrogen peroxide from water, air and electricity. The feasibility of this approach has been demonstrated within the VoltaChem Shared Innovation Programme. The improved concept of the electrochemical production of hydrogen peroxide is more environmentally friendly, and reduces hazards. Four questions for TNO’s Roel Bisselink about the technology, its relevance and the future. Electrification offers the Dutch chemical industry tremendous opportunities according to the white paper drawn up by the industry-wide VoltaChem innovation program. Is the chemical industry plugging in? Is it possible? VoltaChem Community Member Coval Energy has published a study entitled “Formic Acid as Energy Carrier through Electrochemical Conversion of Carbon Dioxide”. The main objective of the study - that is exclusively available for VoltaChem community members - is to investigate how formic acid can be used as an energy carrier. This month VoltaChem's ELECTRE project is covered in Process Control Magazine. The aim of the project is to investigate how the performance over the life cycle of an electrolyser is affected by using renewable electricity. 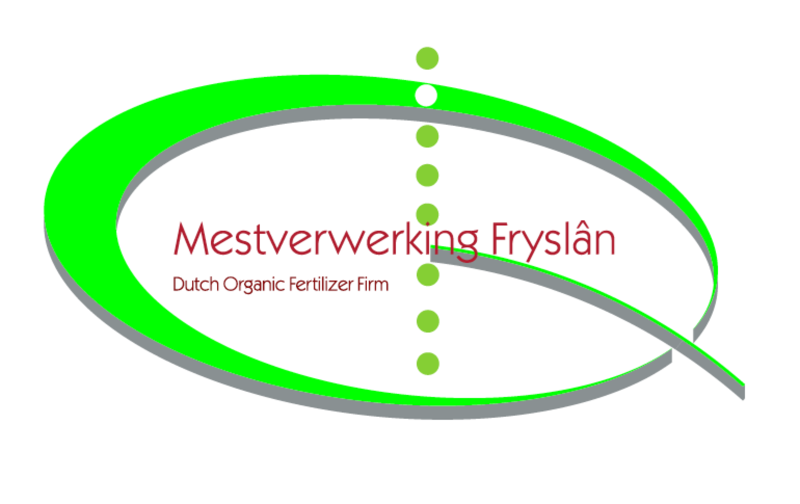 Recently VoltaChem's Yvonne van Delft contributed to an article in the magazine of Netbeheer Nederland. “Industry is facing major challenges. In the coming years, processes will have to become less dependent on fossil energy and emit significantly less CO2. At the same time, industry will play an active role in the development of new sustainable electricity networks,” says Sigrid Bollwerk, the ECN program development manager for Industrial Energy Efficiency. Recently, VoltaChem co-initiator TNO has launched a groundbreaking idea to connect offshore oil & gas to wind parks at sea, thereby facilitating a transition from old to new energy and feedstock sources whilst using existing infrastructure. 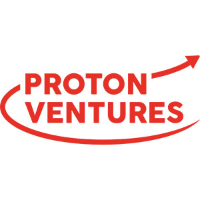 Shared Innovation Program VoltaChem is pleased to welcome 3 new members to its Community in the field of the electrification of the chemical industry: Hydron Energy, Proton Ventures and Aramco Overseas. Electrification of the chemical industry offers opportunities to reduce its CO2 footprint and become more competitive. This is the firm opinion of various representatives from the European chemical industry and the energy sector. In the recent white paper “Empowering the chemical industry – Opportunities for electrification” different electrification routes were investigated and a detailed technical roadmap developed. Shared Innovation Program VoltaChem, initiated by TNO, ECN, Topsector Chemistry, Ministry of Economic Affairs and several companies, connects the electricity sector to the chemical industry in order to develop and implement new technologies for the conversion of renewable energy to heat, hydrogen and chemicals. Both sectors met on 17th March 2016 at the second annual VoltaChem conference. Biogas from biomass gasification or fermentation contains considerable amounts of CO2. When using this to produce SNG, this needs to be removed, leading to a considerable energy penalty. But there is an alternative by adding hydrogen from electrolysis using renewable electricity. Then the CO2 and hydrogen react to produce methane, adding to the SNG production. An effect well known from thermodynamics but confirmed with experiments, with the prospect of a large impact. One of the grand challenges for Europe in the next decades is to guarantee a sustainable supply of energy that is reliable and affordable. There is also great potential in energy carriers and other materials from CO2, with many challenges to overcome. VoltaChem's co-initiator TNO has evaluated the techno-economic aspects of these technologies together with the University of Twente and will continue its development within the VoltaChem program, involving several partners. “Europe’s chemical industry needs this,” says TNO’s Erin Schols. In March 2016 VoltaChem participated in a mission to Japan on the subject of chemical conversion and storage. The aim was to conduct technology factfinding and to benchmark Japan in comparison with The Netherlands. The energy transition in Japan proved to be a valuable benchmark for the strategy of The Netherlands. Thursday 17 March VoltaChem organized its yearly event on the electrification of the chemical industry. Over 100 participants were present in the Energy Barn in Groningen to discuss the latest opportunities and challenges. VoltaChem co-initiator ECN and Hydron Energy will jointly work on a project to investigate how the performance over the life cycle of an electrolyser is affected by using renewable electricity. It is known that rapidly changing loads in a PEM electrolyser can accelerate degradation. The ELECTRE project will clarify to what extent such load-following operation decreases the life expectancy and what type of load-changes specifically impact the durability. The ultimate goal is to bring the cost of electrolysers down to the level where the hydrogen from renewable electricity becomes an attractive option for the chemical industry. The two partners have received a grant from the Topsector Energy to execute this research. Shared Innovation Program VoltaChem is pleased to welcome 5 new members to its Community in the field of the electrification of the chemical industry. Two large companies (Cofely & Nuon) and three SME's (MAGNETO special anodes, Technip and Coval Energy) decided to join us. Shared Innovation Program VoltaChem participates in the Power-2-Ammonia project that was initiated by ISPT. In the project ten parties from the energy and chemistry sector will investigate the extent to which ammonia can be locally generated using renewable electricity. Thanks to the growing number of wind turbines and solar panels, the supply of renewable electricity will sharply increase in the coming years. At times when there is a surplus of renewable electricity, it can be converted to ammonia locally using small-scale plants. 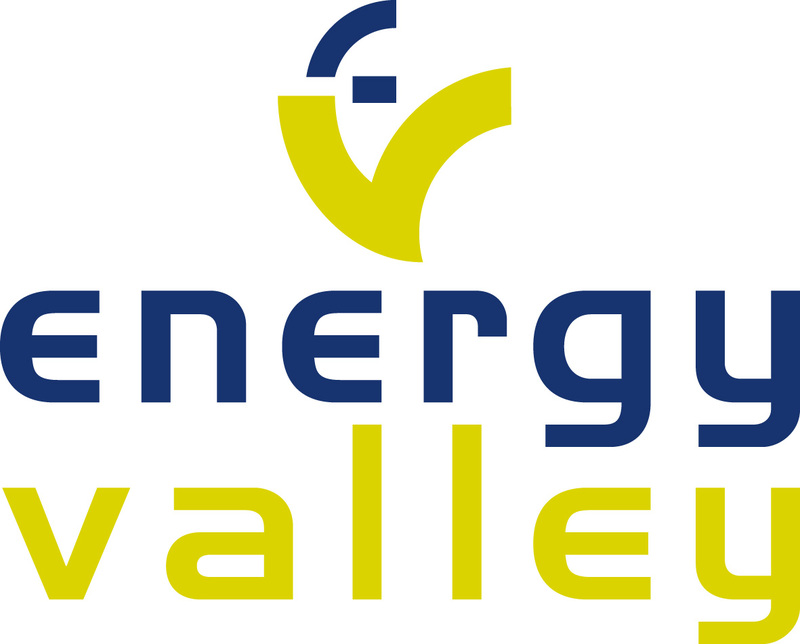 On 17 March 2016 VoltaChem together with Innovatielink, Energy Valley, FME and Topsector Chemistry will host its yearly event to discuss the latest progress in the field of the electrification of the chemical industry and to elaborate on the opportunities to accelerate business together between large enterprises and SME’s. There are two reasons why you should consider to drive your thermal processes using electricity. One, often mentioned is to profit from low electricity prices during periods with a high supply of electricity and a low demand. The technology that is providing the heat should be able to respond quickly and will operate only during a limited number of hours. The other reason is to shift your processes from fossil energy carriers for the generation of heat to electricity as driver, as a base load option. In this case the response time can be low and the equipment will run most/all of the year. VoltaChem is an innovation program enabling chemical companies and the electricity sector to make substantial reductions in energy consumption and CO2 emissions. VoltaChem is encouraging businesses to join the VoltaChem Community. The level of interest shown has meant that the program was able to get off to a great start. Over the last months Shared Innovation Program VoltaChem has been busy developing technical roadmaps and business cases for electrification opportunities in the chemical industry and with applying for innovation funds to secure its groundbreaking research. Currently VoltaChem offers several opportunities for global leaders in the fields of electricity, conversion, equipment and end products to participate in its program line Power-2-Chemicals. Specifically: electrocatalytic production of chemicals. VoltaChem, together with partners Arkema, OCI Nitrogen, AkzoNobel, Dow, Stedin, has recently started the E-Match project: 'Hit list for Electrification; Matching Processes with Electrification Technologies'. The project aims at identifying those processes in the Netherlands most suitable for electrification. With a rapidly increasing share of renewable electricity, electricity generation will periodically be much higher than the demand. A recent European study confirms hydrogen as one of the more attractive options to store vast amounts of renewable energy. However, cost and lifetime of electrolyzers are important barriers to the large-scale implementation of this switchable capacity. Within VoltaChem's Power-2-Hydrogen program line, ECN is focusing on improving lifetime of electrolyzers. What are the lessons learned? The increasing sustainability of the energy supply in the Netherlands is at a turning point. That is the conclusion of the National Energy Report 2015 presented by ECN. Discover what the energy situation is in the Netherlands and what must be done to achieve the objectives of the Energy Agreement. Thursday 1 October 2015, at the Dutch Topsector Chemicals Day, applied knowledge institutes TNO and ECN launch VoltaChem: a business-driven Shared Innovation Program that connects the chemical industry to the electricity sector and equipment suppliers. As from today companies can join VoltaChem's Community, and via the Community website it is easy for new partners to join the ongoing R&D program. What are the benefits of changing from thermal conversion to electrochemical conversion for the chemicals industry? This is the question being investigated by VoltaChem's TNO. The first demonstration case concerns the conversion of HMF from biomass to FDCA, an important raw material for the chemicals industry. The 'Electrification of the Chemical Industry' program needed to get a recognizable and appealing brand name. After careful consideration we are proud to present the new brand name: VoltaChem! The name VoltaChem is built from two parts. ‘Volta’ is based on Alessandro Volta (1745-1827).